Family Planning introduced after FPAP was established in 1953. FP program launched by Govt Pakistan through MoH on 30th June, 1965. 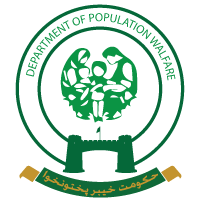 During 3rd Five Year Plan Period, the program received priority and Family Planning Council headed by Federal Minister of Health was created. Similarly provincial boards under Health Department formed. The Program Federalized in 1976. The services of the program employees Provincialized in 1980. The field activities transferred to the Provincial Govt. through an ordinance 1983. The program remained lull during 1975 – 80 - did not achieve desired political support. In 1993 Supreme court declared employees as civil servants of the Federal Government & in 2000 Program transferred to the Provinces. After 18 amendments in 2010 Popualtion Welfare Program devolved to provinces.